Excellent participation - especially from Pediatric nephrologists. Fabulous hosting from Michelle and Francesco! Michelle Lim is back with another visual abstract. 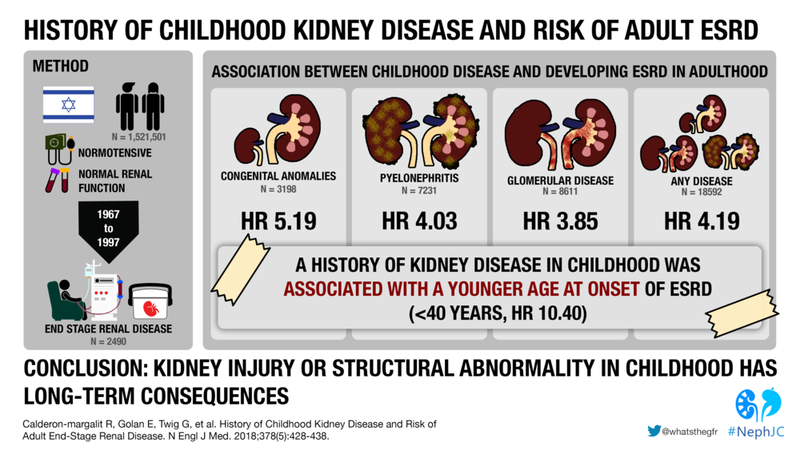 This is for the NEJM article linking childhood kidney disease with ESKD decades later.